The Lenovo A6010 features a 5.0-inch large IPS LCD screen with a resolution of 720 x 1280 pixels. Display has an overall pixel density of 294 ppi. The phone is powered by 1.2GHz Qualcomm Snapdragon 410 processor which is aided by 2GB RAM and Adreno 306 GPU. Snapdragon 410 has been a trusted SoC so far and is powering number of popular devices launched this year. Therefore, we expect a similar performance from it in Lenovo A6010. The smartphone is fitted with a 13megapixel autofocus primary camera with LED flash for snapping vivid moments in life. A 5 megapixel secondary shooter is placed in front to capture selfies and video chats. The Lenovo A6010 has an inbuilt storage of 16GB which can be expanded up to 32GB via an external micro SD card. The A6010 draws power from a 2,300mAh Li-polymer battery which could last for 18 to 24 hours depending on the usage. The new ‘A’ series smartphone offers a number of connectivity options including 4G, A-GPS, Bluetooth, Wi-Fi and USB connectivity. The Lenovo A6010 is a good budget smartphone option which can perform all the necessary day-to-day tasks. 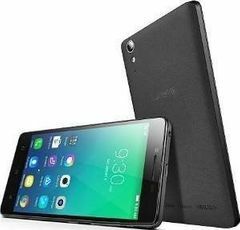 However, the Lenovo A6010 with have to face the heat from K3 Note which is still very popular among masses and has more relevant specification. The Lenovo A6010 best price in India is Rupees 10,299. Currently Lenovo A6010 is available on e-stores Amazon and Flipkart only. Levono is losing its brand value. This phone is worst of all its product. Sometimes after restarting battery percent stucks. Not updating to latest lollypop version.